In honor of my last day on the morning show, I’ve whipped up a little giveaway. Just a small way to say thank you, for the opportunity to connect with you. Thank you for inspiring me over the years and reminding me that we are all on this blessed, beautiful life-walk together. 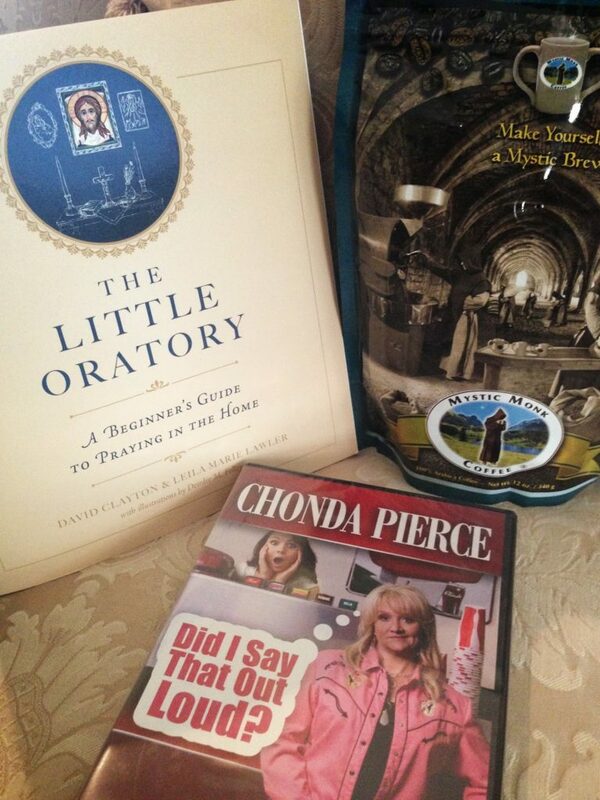 First: The Little Oratory: A Beginner’s Guide to Prayer in the Home. Critically acclaimed new book from David Clayton and Leila Marie Lawler. 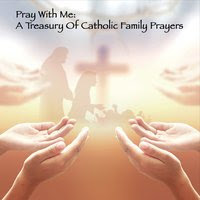 Rich with ideas to help you practice your faith in the heart of your home. Finally: Chonda Pierce “Did I Say That Out Loud?” comedy DVD. Chonda is hilarious with a huge heart. Check out her Sizzle Reel here. Be sure to empty your bladder before turning this on, she is THAT funny! Also please remember her in your prayers. She recently lost her sweet husband. I feel like this giveaway isn’t complete without an emergency supply of chocolate. With the summer weather though, I worried it would melt in the mail. My apologies, but I am open for personal chocolate meetups any time! get through your spam filter. Wishing you the best, and thanks for stopping by! I’ll be doing a blitz of new blog posts (well, maybe that’s shooting a little high) but I do have plans to more regularly update, and I hope you’ll check back! In the meantime, don’t forget to visit my new site for bookings, videos, and info. Also, The Mom Squad blog and Facebook page! And, if you missed the on air announcement about my departure you can find it, here.